A new crash study will be taking the next two years to look into driver’s actions and reactions when facing near-crash situations. The study aims to determine better ways to prevent traffic collisions before they happen, according to Forbes. This new study is much different because most previous studies of the sort focused on how to protect passengers in the event of an accident. These researchers look to prevent car accidents in Boston and elsewhere before they happen. Throughout this study, 3,100 vehicles will be chosen to participate for two years. The study is looking for participants in Buffalo, Seattle, Tampa Bay, Durham, central Pennsylvania and Bloomington. Our Massachusetts car accident attorneys understand that this type of information will be beneficial to drivers across the United States as it will help to prevent serious or fatal accidents across the nation. The study is looking mainly at how drivers act and react to different driving situations involving varying road, traffic and weather conditions. The data will be recorded by four different video cameras that will record the forward and rear views and the driver’s face and hands. The study will also be equipping vehicles with GPS, wireless radar and various sensors. This study is the world’s largest field study of its kind. It has been sponsored by the Federal Highway Administration. The information from the participating vehicles will be recorded in a storage box held in the vehicle’s glove compartment. Researchers will retrieve the data every four to six months. 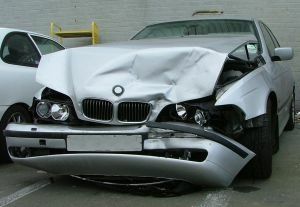 Previous accident studies have only focused on saving vehicle occupants in the event of an actual accident. These studies only focused on the effectiveness of seat belts, airbags and crash-worthy vehicles. More recent studies, like this one, are shifting their focus to collision avoidance by looking into driver behavior. Driver behavior and driver habits are the primary cause of most accidents. “You can’t just look at collisions or near collisions to know what risk factors are. It’s that comparison with what the driver is doing when there is not a safety-related event that tells you what the risk factors are,” says Dr. Campbell. The information will not only be used to advance vehicle technology, but to design better driver training programs as well. Motor-vehicle accidents that occur at intersections and accidents where the driver runs off the road will be initial focus areas of this study. The participating drivers in the six states chosen to be a part of the study will receive $500 for each year they participate. Each participant is required to have a valid driver’s license, proof of insurance and an approved vehicle. More than half of all vehicle makes on America’s roadways are eligible for the study. Monitoring equipment is relatively easy to install and typically takes less than four hours to do so. If you or a loved one has been in a car accident in the Boston area, contact Massachusetts Car Accident Attorney Jeffrey S. Glassman for a free and confidential appointment to discuss your rights. Call 1-877-617-5333.